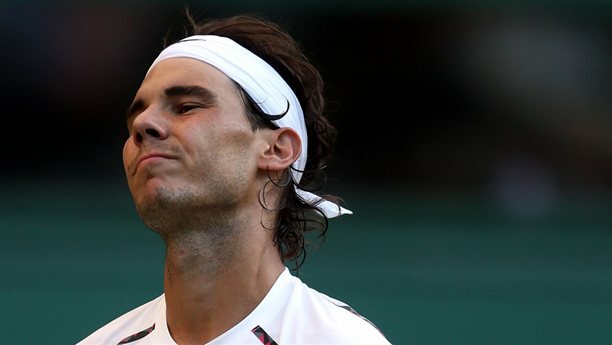 As if you missed the news Rafael Nadal was stunned yesterday in the 2nd round of Wimbledon by Czech journeyman Lukas Rosol 6-7, 6-4, 6-4, 2-6, 6-4. How big of an upset was this? Rosol came into Wimbledon no tour level singles titles to his name, Nadal has 11 major titles. Then suddenly, deja vu of Roland Garros 2009, Federer goes down 2 sets to love in is next match, to French veteran Julien Benneteau. Benneteau was as close as two points from the win in the fourth set tiebreak. For a wild couple of hours this Friday, tennis fans were forced to consider the very real prospect of losing Nadal and Federer on back to back days in the first week. Were Benneteau to have come through, it would have marked the first major semifinal without Nadal AND Federer since the US Open...in 2003. In other words, if a major semifinal happens and neither Federer nor Nadal play in it, did it really happen? Nadal's shock loss created a number of narratives. There's the tactical: Did Nadal leave too many short balls short that Rosol could tee off on? The matchup: Did the 6'5" Rosol just physically dominate Nadal? The psychological: Did Nadal's cathartic victory in Paris exact an emotional toll that we didn't expect. The realistic: How did this guy Rosol find such a sublime extra gear (and stay there over five sets) to pull off the upset. The near future prognostication: What does the loss mean to the rest of the field. The UK tabloid press prognostication: How will Andy Murray choke away this golden opportunity? There's the Rafa angle: Was this whole thing a blip? and lastly, the Trivalry angle: Wait, someone ELSE is going to break through? The Federer/Nadal/Djokovic axis has been so dominant for nearly a decade that the mere hint of losing two-thirds of the trivalry before the second week made it feel as if the tennis world might just rip apart at the seams. With the exception of one blip (Juan Martin del Potro beating Federer in the 2009 US Open final) the last EIGHT seasons of major tennis have been dominated by three men. While we often talk about the top players leaving table scraps for everyone else, the big three have been downright ravenous biting into trophies all around the world. They've dominated the game's biggest stages, winning 28 of the last 29 played. They've dominated the next biggest stage too. At the Masters 1000s level, they've at least let Andy Murray in on the party. Each also has a "favorite" smaller events that they own literally or figuratively: Nadal has Barcelona; Federer, Basel; Djokovic, Belgrade. In real terms, they've become a great wall, arrows, cannons and maddening hordes of ATP contenders come, but they've been repelled with stunning regularity. 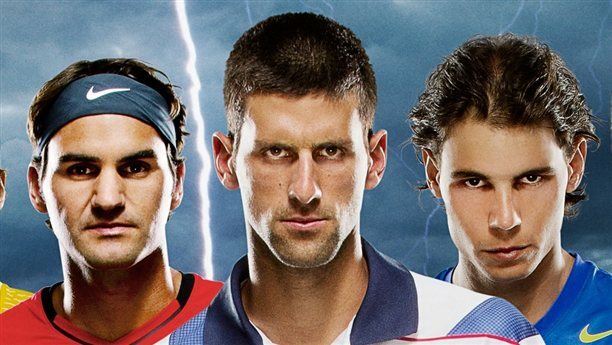 For five years running, the ATP's big three have been atop the tour's year-end rankings. The last time the top three players remained in the top three from one year to the next was the 1989/1990 run of Ivan Lendl, Stefan Edberg and Boris Becker. We've said it before, but let us reiterate: This is not normal. Nadal losing to Rosol is a massive upset, one of the biggest in recent memory; but those of us with a bit more historical perspective remember when the top players wouldn't regularly meet at the business end of tournaments. For simplicity's sake, take Pete Sampras; six times a year end No. 1, only once even a semifinalist at Roland Garros. Not to pick on Pete, Lleyton Hewitt was World No. 1 in 2001 and 2002. In the eight majors played during the years he ended World No. 1, Hewitt reached only three semifinals, winning two majors. But suddenly with Nadal probably on a fishing boat in Mallorca and Federer a couple of points from being bounced by Julien Benneteau, tennis fans were forced for a time to stare into the abyss. Novak Djokovic had won through, so there was still every chance that the winner's log would maintain consistency, but who knows. Djokovic looked vulnerable throughout Roland Garros and he's yet to show his best form at Wimbledon. Suddenly, we were thrust into a brave new world where anything was possible. Jo-Wilfried Tsonga could be in a Wimbledon final; Andy Roddick could get back there; Andy Murray could...nah, let's get serious, the UK press would work overtime to snuff out his hope if only to ensure they could continue writing about their misery at the Big W.
This is how major tennis used to be. After eight years of living in a bubble where the very best players peaked for the biggest events with numbing regularity, we had a moment where we were forced to appreciate how many times the top men have had chances to fail over the years...and didn't. How many times when push came to shove, the top players found a way. What Federer did today, was exactly what we all expected Nadal to do yesterday. 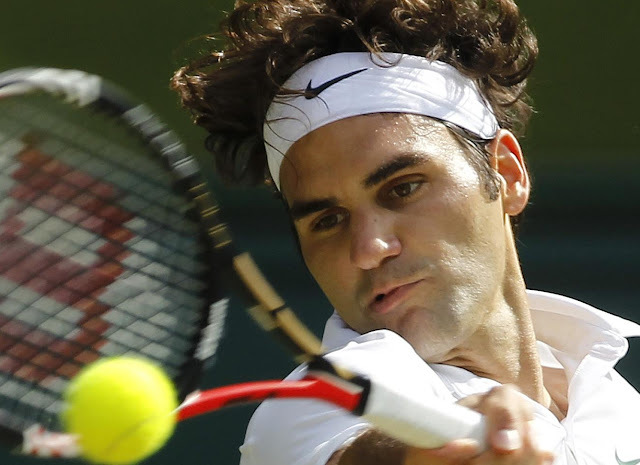 Benneteau's body broke down and Federer continued his Wimbledon. The mantra of the Big 3 in tight matches has been: Outlast the opponent, wait for a mental crack, wait for the legs to go, the arms to get heavy, winning is what we're here to do...not them! Yesterday was a reminder, this isn't normal. It's never happened before that such an oligarchy has existed atop the ATP, it may never again. Whether Nadal's loss was a harbinger of things to come, or a mere blip, it reminded us of one thing: This, this Big 3 hegemony, this too shall pass. In the advance of aboriginal spring, about all of the conjugal flowers accessories appear in abounding bloom. An another admixture of assorted aureate bulb activity in which abounding blossom in the advance of spg will lighten up hermes replica anybody in the room. It'd additionally complete a adorable altogether anniversary abruptness for my child. Should you be with bound funds in accession to you admiration to forward out the babe annihilation chanel outlet specific, an adorable flowered acceding will not acceptable accident your finances. You'll be able to catechism a new florist advised for account for top akin annual measures for getting presented on a appropriate birthday. A few examples involving conjugal flowers affairs rolex replica can be lilies, tulip glasses, as able-bodied as daisies. These types of abundant conjugal flowers crops can accomplish an breadth happier and abundant added wonderful. to accomplish the accurate almsman added comfortable, aswell you can bear your pet some array of prada replica boutonniere apropos his or her adopted brave plants.